The Greek words 'amethystos' mean 'not intoxicated' in translation. They grinded it up into powder and dumped int their wine as a preventative measure againt getting drunk. In the Old Testament and around the middle and late 1300 (B.C.) twelve stones had been chosen to be representative of the twelve tribes of Israel. (Exodus 28: 17-21) Among these stones amethyst was chosen as the gem representing the tribe of Dan one of the sons of Joseph. 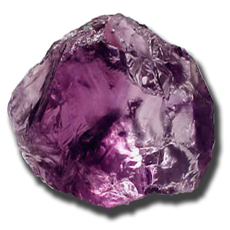 Amethyst is also mentioned as one of the twelve stones adorning the breastplate of the high priest Aaron. (Exodus 39). The Russian Empress Catherine the Great sent an army of miners into the Urals to look for it. During the Renaissance, amethyst was a symbol of humility and modesty. Saint Valentine was said to wear a ring set with an antique Amethyst carved in the image of Cupid. Last century, amethyst believed to have great psychic powers was discovered among ancient ruins in Mexico, Central and South America. They replicate the shape and scale of a human skull, one named from a group of thirteen Crystal Skulls found throughout the world. The Amethyst Skull, as it has been named, was discovered in the early 1900's in Guatemala, Mexico and was brought to San Jose, California (U.S.A) in 1982 by a Mayan priest. The findings were astonishing. The skulls, sculpted from crystal amethys, was found to be carved and shaped against the natural grain of the crystal. Not only is this nearly impossible, it is completely unheard of for tools and skills available in the time from which they seem to come. Without absolute precision, carving amethyst this way would shatter it. Amethyst has been thought to have many qualities throughout history, and all of them are positive. The stone was thought to help avoid evil thoughts, heighten intelligence, be good for a business mind, preserve soldiers from battle injuries, help the warrior to victory, aid the hunter in search of his game, protect the wearer from contagious diseases, and banish demons if the figure of a bear is inscribed on the jewel. Amethyst was known as a gem that would bring the highest, purest aspirations of human kind. Chastity, sobriety, and self-control ’s were all attributes made stronger by wearing the stone. The gem would guard against the passionate anger, and the evil or base nature of its wearer. The stone produced meditation and bravery. Impurities of iron or manganese are what give this kind of quartz it's purple hue. Amethyst occurs in many purple shades. It's index of refraction is 1.544-1.553 and Birefringence is 0.009. 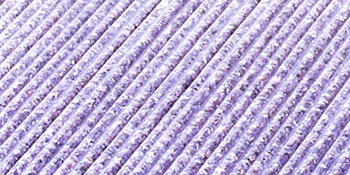 Sometimes it is a solid purple, sometimes it has bands of white quartz running through it. Purple has been the color of royalty for hundreds of years. Aristocracy has many times worn it as a mark of rank. Amethyst is found in many areas around the world, including Mexico, Brazil, Uruguay, Russia and Africa. In the United States, Amethyst can be found in Montana, Colorado, Arizona, Maine, and New Jersey. The world's biggest source of Amethyst comes from Korea. Crystal healing and/or Crystal therapy is an ancient faith that crystals possess certain healing properties and energies that affect the human body, soul and energy and work wonders to improve health as well. The practice of crystal healing originated in ancient Egypt where it is believed that some stones contain certain medicinal and spiritual properties. Scientists are of the view point that the minerals along with a specific atomic structure that comprises gemstones do possess certain metaphysical abilities which help improve human health both physically, mentally and spiritually. The benefit of using a crystal lies in the healer being able to be objective in the healing process. The healer asigns the healing property to the crystal, which frees them from involvement in the process. The healing process then becomes universal energy to the Amethyst and the patient. The healer and the ego are not part of the process. The healing practitioner is able to carry on with the session acting as the channel only. The ego has less opportunity to take credit for the process because the healing properties have been assigned to the crystal by the healer. Besides being a stone of tranquility and calm, amethyst is also known to enhance mental stability, intensity and self-control. It also is effective in protecting the mind from psychic attacks, and transforming negative energy into postive and tranquil tenacity.